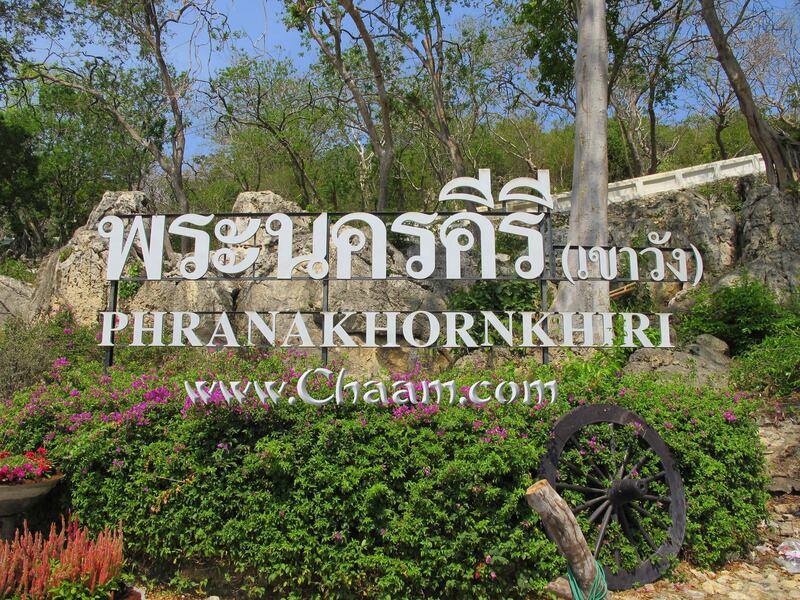 A trip to the spectacular temple Phra Nakhon Khiri in the heart of Phetchaburi is an absolute must if you are in Cha-Am. 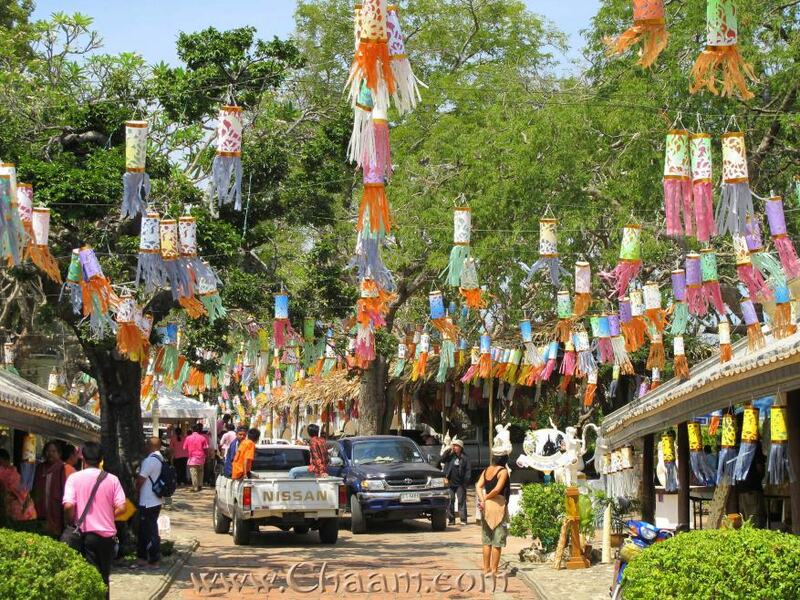 Phetchaburi is about 40 kilometers away from Cha-Am, so a trip by the car would cost you about 40 minutes. 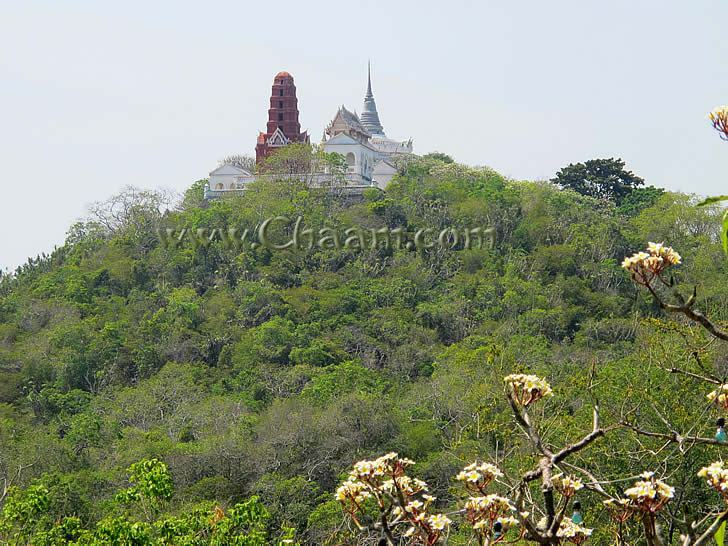 The temple is standing on a about 90 meters high hill and it is consisting of several temples, hundreds of meters away from each other. You should therefore not necessarily make this trip in the midday sun of the hot season. 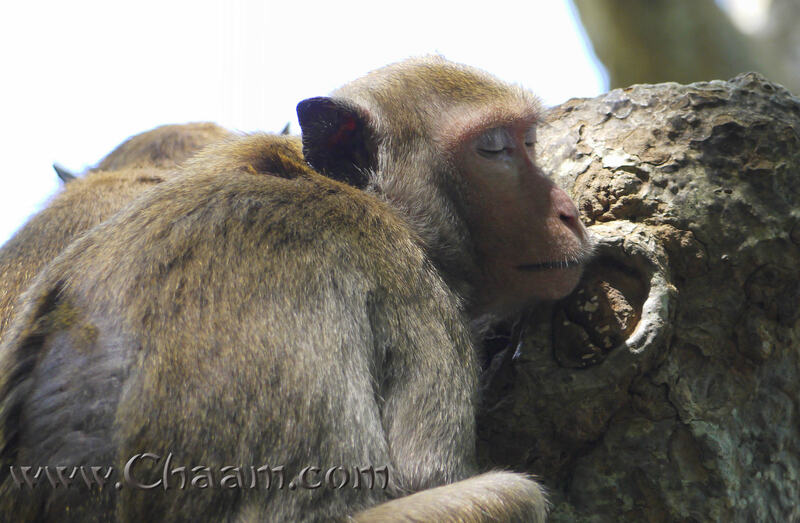 But in the midday the sometimes crazy monkeys are normally sleeping. You can easily spend some hours on the wounderful paths, which are covered by old trees, which gives you shadow. 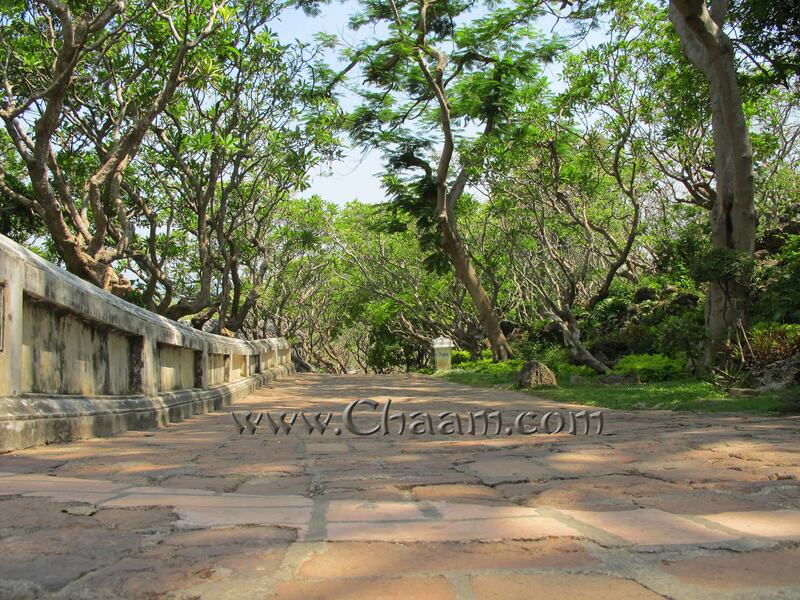 The paths through the temple complex are cleaned and maintained daily. 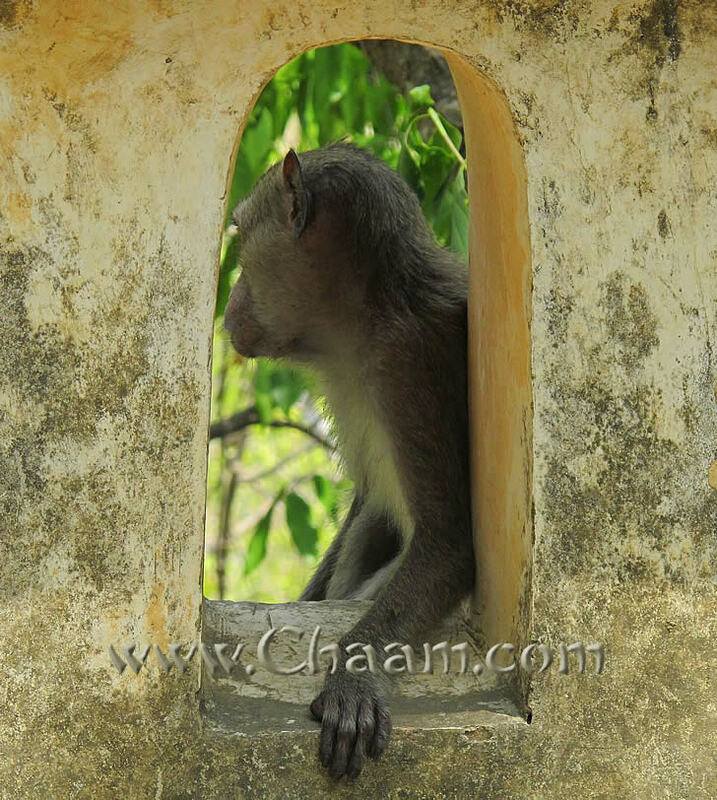 Monkeys are always found in a wide range in the vast temple complex. 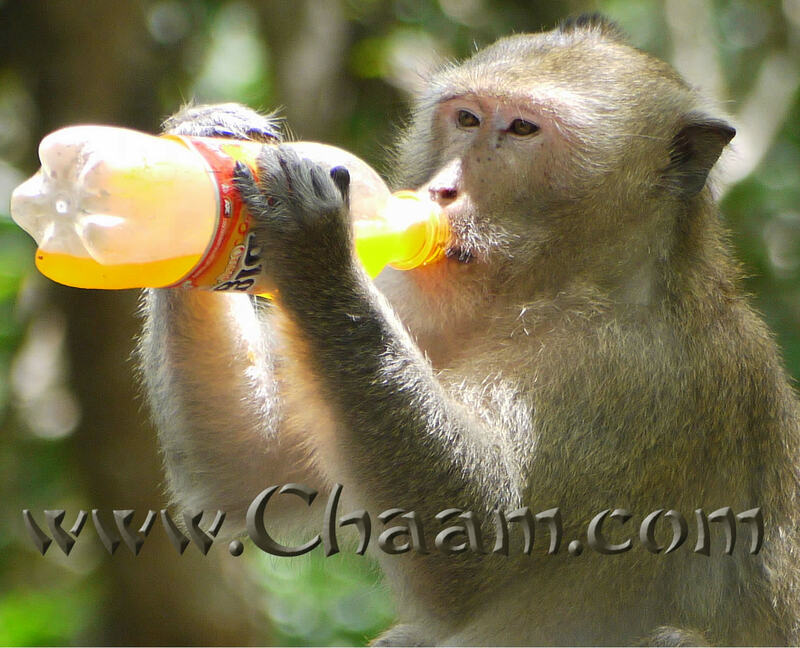 They occur mostly in packs, then you should keep look always to the leader of the monkeys, he protects the little monkeys and all other monkeys and he is mostly agressive. Generally speaking, the monkeys are sweet, affectionate and intelligent animals. But keep your distance to them for your safety! Especially outstanding items from pockets can be stolen easily, a grip in your pocket and the car keys are away, or a beautiful shimmering Hairclip can be painfully removed out of the hair with a jerk. But in the early afternoon the monkeys from the Phetchaburi temple are normally lazy and sleeping. 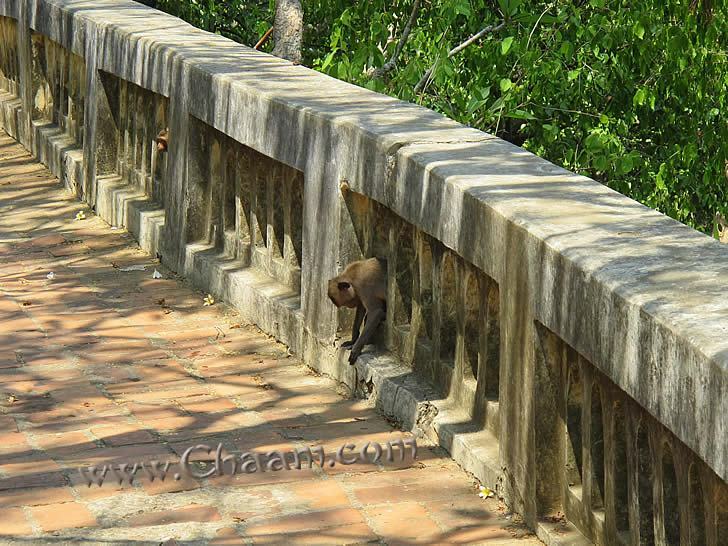 But never forget, that monkeys are no pets, they are wild living animals! 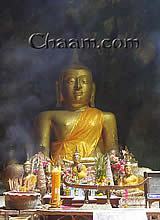 In the temple are held periodically festivals in which the raditional Buddhist folklore ceremonies ans ancient songs are performed. 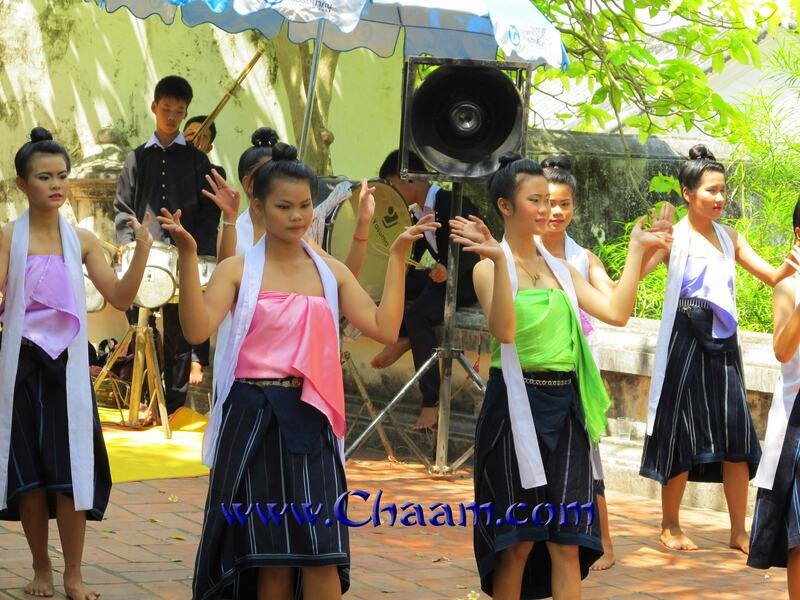 Here is a group of young and beautiful Thai women dancing a temple dance. The Ladies move their bodies very gracefully and gracile and try to keep to the beat of the ancient Thai music, which unfortunately does not always succeed. There are hundreds of players at these traditional folk performances. Everywhere is played a lot of traditional music, there are presented traditional temple dances, performances of old pieces of history, or even martial arts. The music itself is mostly rather loud and rather unmusical to our ears, but actually it does not matter whether you like the sounds or not, the feeling is excellent, everyone is in a good mood and gives you a smile and you will go home with a warm heart. This ancient temple complex in Phetchaburi covers over a chain of hills, which is to good to walk. You can stay for hours in this temple and enjoy the perfect nature and enjoy the beautiful view. 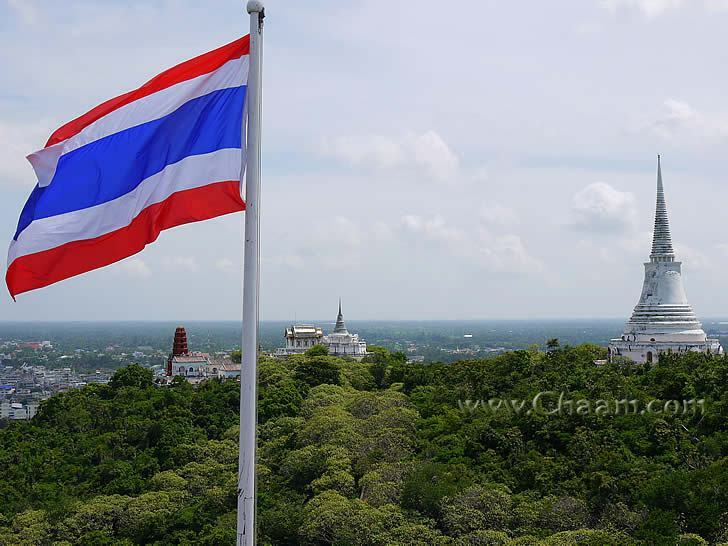 On the peaks of the mountains are viewing platforms from which you can see the environment of Phetchaburi for miles. Such a ascent to the viewing platform is indeed a bit more difficult in the heat, but the view compensates for this!